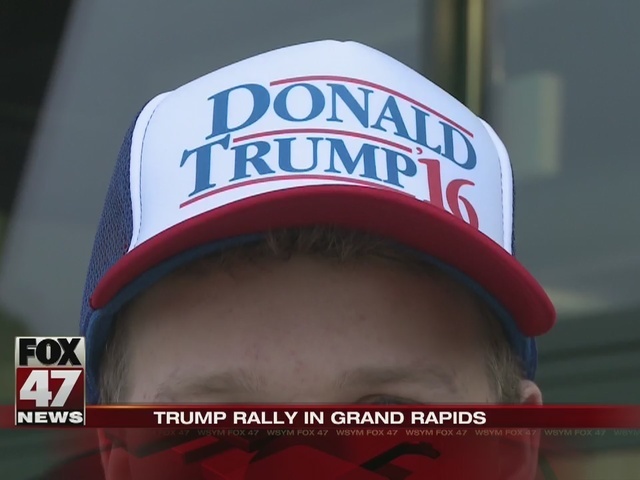 Thousands took part in Donald Trump's rally in Grand Rapids Monday night. In a line of thousands of supporters, you could see pro-Trump hats and t-shirts and even cookies with the Republican candidate's face on them. "I believe in his alarm clock agenda, wake up America. It's not that hard. I mean, we know it's happening, our country's weak, we need to make it strong again," said Steve Muratt, a strong supporter of Trump. First time voter Josh Hansma said Trump's record is appealing. 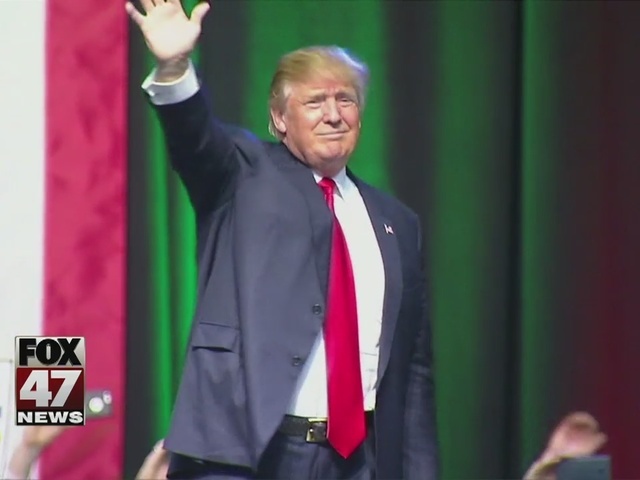 "I just like that he's not a politician, and that he says what he wants," he said. "And, I think we need a businessman who ran a successful company, he could run a country as well." With policies supporters think will "Make America Great Again." Supporter Ross Rockwell explained, "We need to know who's coming in across our borders. And, ISIS is infiltrating some of the Syrian refugees that are coming in right now, so we just need to keep everybody out right now." About a hundred protesters posted up near the entrance. They called Trump racist and told FOX 47 they're scared he has a shot at the presidency. Clint Lawrence explained, "You know, in the 1940s, Hitler worked his way up in Germany. I know it's possible." While both sides got a little close a few times, the scene stayed peaceful. Many of the protesters said they were once immigrants to the U.S. and feel Trump's policies are personal attacks. "We are not criminals and we are being just labeled very wrong by this guy that doesn't really take any responsibility for any of the hate that he's creating in dividing the country," said Guadalupe Diaz. A divide protesters said Trump's created behind a mask. Andrew Geer explained, "He's an entertainer, he's an actor, he's very good at playing the system." A candidate who fires up both sides. The rally lasted a little over an hour. Seven law enforcement agencies were on hand to keep the peace.